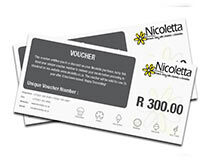 At Nicoletta, we have had a very interesting year of attempting ‘Banting’ and have endeavoured to keep at least 1 recipe per month Banting-friendly. The easiest recipe for a sweet fix over last year has to be our Banting-style Brownies – which can be whipped together in 20 minutes! Mix the dry ingredients; and add all the wet ingredients. Whisk till it is combined. Pour into a small baking dish/pan (we used a dish approx. 140mm x 220mm) and bake at 170°C for 15 minutes or until the brownie almost does not “jiggle”. Do not overcook, as the brownies will dry out quickly! 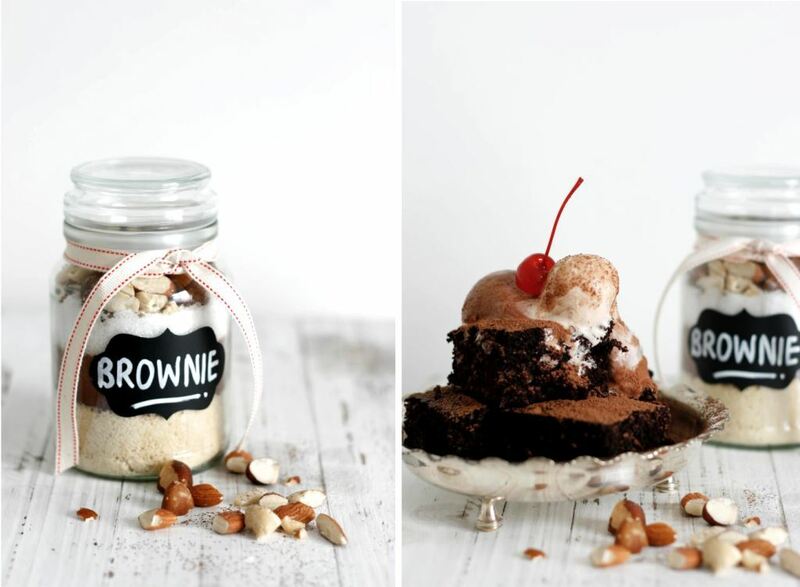 In the spirit of Christmas giving, and in light of those Banting over the silly season, we have created the perfect foodie gift – DIY Banting-style Brownie Mix! Whisk till it is combined. 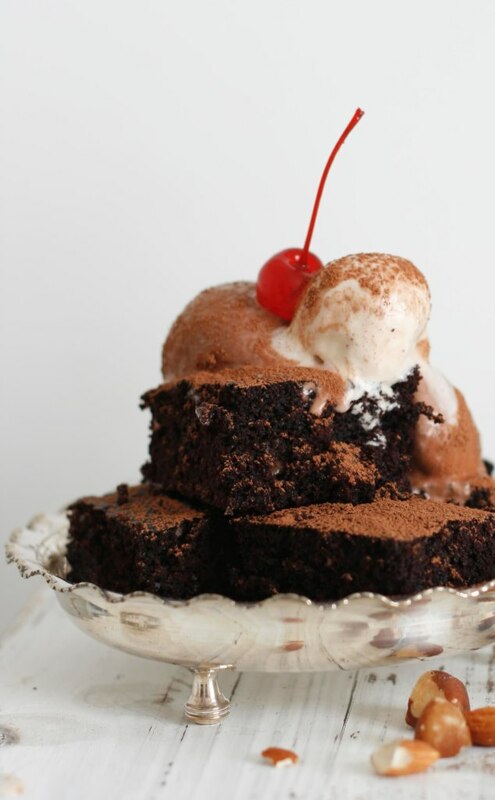 Pour into a medium baking pan and bake at 170°C for 15 minutes or until the brownie does not “jiggle”. Happy Banting! Create your mixes ahead of the Christmas holidays and set aside for wrapping with ribbons and tags! Finish and klaar. Our favourite way to eat it is served with Gelato Mania’s Banting and Diabetic-friendly Chocolate / Hazelnut Gelato (talk about yum!). Gelato by nature is slow churned, and results in a denser, creamier and richer product than aerated store-bought ice-cream. This Gelato screams indulgence, and still only contains 5.0g Carbohydrates per scoop! See these new flavours at the Gelato Mania Gelateria’s in Camp’s Bay, Green Point, Cavendish Square, V&A Waterfront, Franschhoek and Hermanus. Mousse cake is one of those desserts that is both indulgently comforting and light. 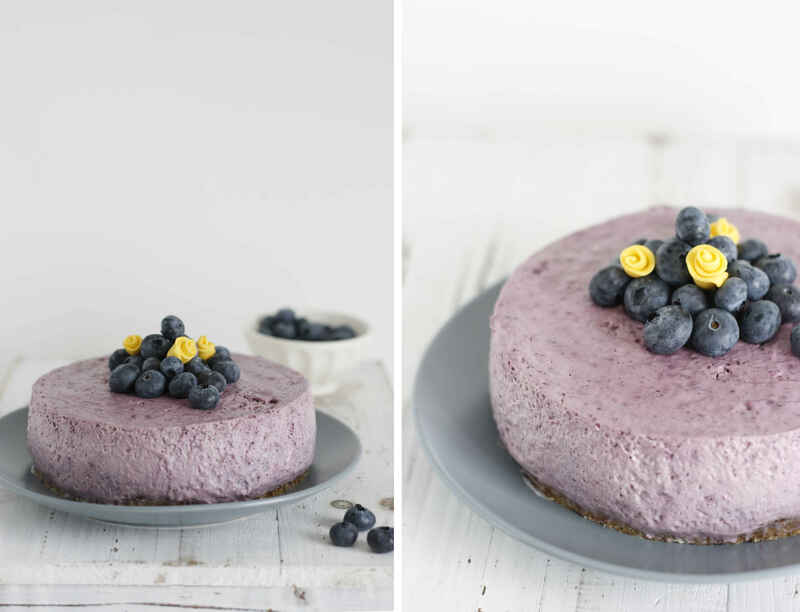 We turned a very Banting-conscious blueberry smoothie into a mousse by adding gelatine – and before you turn your nose up at using gelatine – the texture of this tart is more creamy mousse-like than stiff gel-like! Gelatine is made up of protein, that has been refined from porcine/bovine hide, and adds great structure to jelly, panna cotta, gummy sweets, marshmallows and mousses. Soak the gelatine according to package directions. Puree the berries and pass the berry pulp through a sieve. Mix in the yoghurt and lemon juice. Separately whip the cream with the vanilla and xylitol until stiff; and then fold into the berry yoghurt mixture. Carefully squeeze out the excess water from the gelatine, and heat it in a small saucepan until it becomes liquid. Slowly stir into the mousse mixture. Stir well and quickly so that no lumps arise. Carefully pour the filling into the pan. This mixture made a little extra for tasting! This mixture can be separated into serving glasses for individual portions, and sprinkled with the ‘faux biscuit’ as a topping. Allow to set in the refrigerator for 4 hours. We decorated our mousse tart with fresh blueberries and yellow fondant ribbon roses (just for fun!). 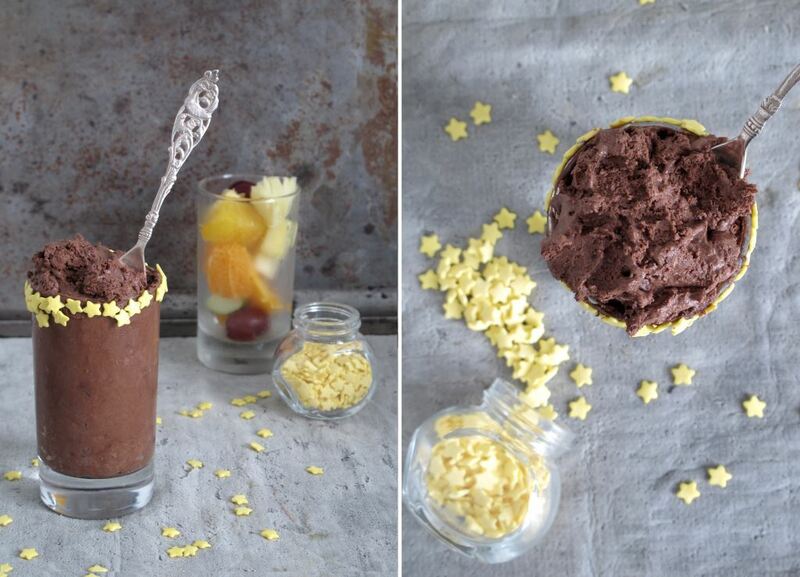 This recipe was adapted from our Speedy Chocolate Mousse recipe. In creating a Banting-friendly dessert, we used xylitol to replace the refined sugar in the recipe. 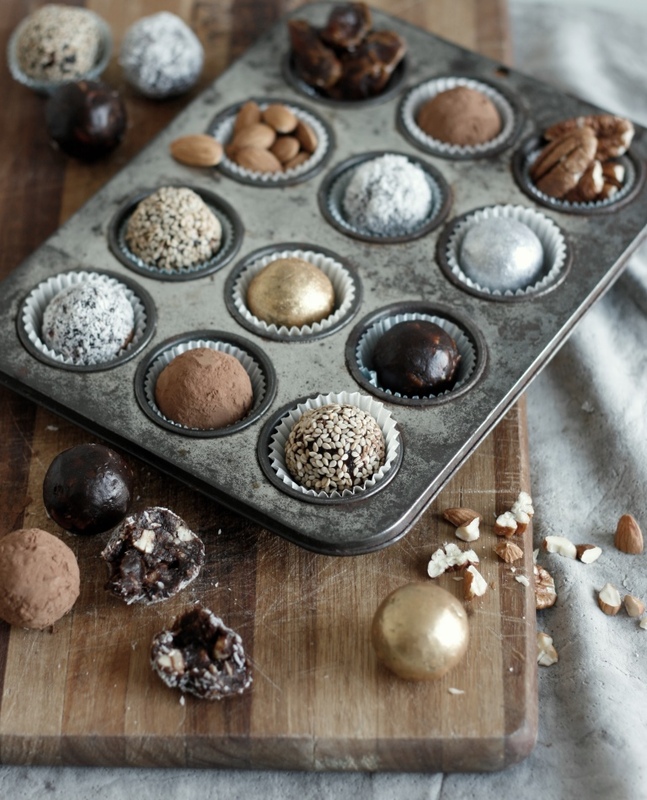 Chocolate that contains sugar (used in chocolate desserts), is difficult to replace in a Banting recipe – since there will generally be sugar present in any chocolate, unless you add a chocolate containing 100% cocoa or an artificially sweetened chocolate. For our recipe, we used Lindt’s Dark Chocolate with 85% Cacao (70% Cacao chocolate has been mentioned on the ‘Sometimes‘ list in Lose It! Magazine). Melt the chocolate in a double boiler (place a bowl over a pot of simmering water, gently heat the bowl using the steam) and stir the chocolate until melted; or melt the chocolate on high in the microwave – checking every 30-60 seconds for overheating – stir the chocolate when the chocolate blocks are soft but still hold their shape. Remove bowl from heat and set aside to cool slightly. Place eggs and xylitol in a large bowl and beat for 5 minutes with an electric beater, or until mixture is pale, thick and doubled in volume. Fold in chocolate and cocoa powder until combined. In a separate bowl, whip the cream. Use a large metal spoon to carefully fold the cream into the chocolate mixture, trying to keep the mixture as light as possible. Spoon or pipe the mixture using a piping bag into serving glasses or ramekins and chill in the fridge for at least 1 hour. Remove from fridge 15 minutes before serving, and serve with fruit salad / berries and cream. 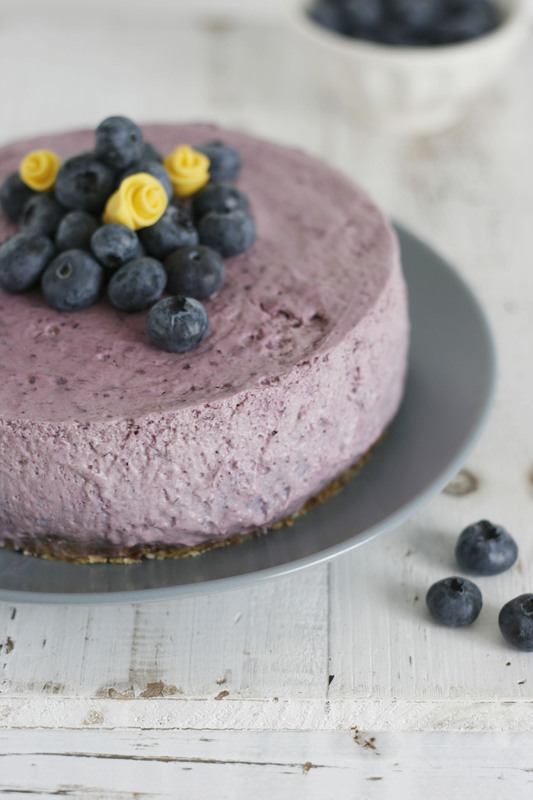 Cheesecakes have been made since the time of ancient Greece! And we know why this dessert has thrived over the years (even though it’s made differently all over the world). 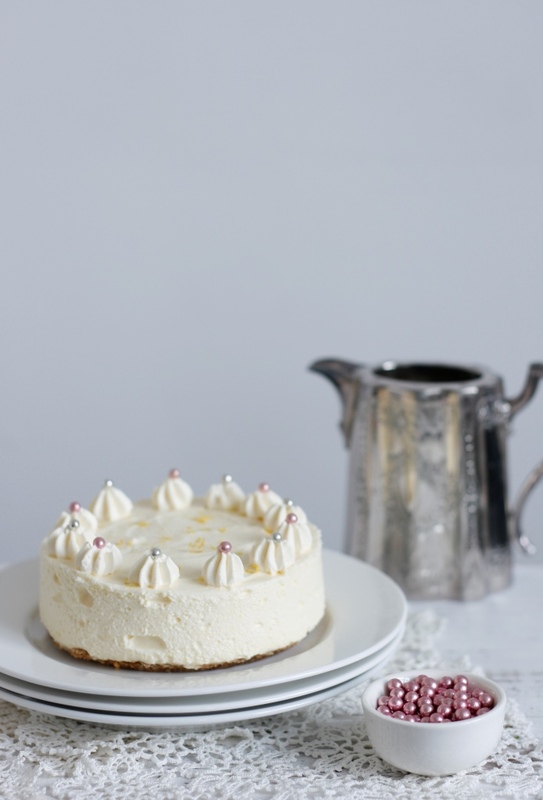 Cheesecake made with cream cheese is our favourite, and we have a wonderfully quick no-bake cheesecake recipe that we have altered to fit a more Banting-lifestyle. Soak the dates in boiling water for a minute. Place all ingredients in a food processor and blend till crumb consistency is reached. Pour the crumb base into a tray or small springform pan lined with baking paper and press down. Whip cream until softly whipped; add the xylitol and whip until the crystals are incorporated in the cream. Add the cream cheese (at room temp.) and whip until combined. Add the lemon zest and juice and whip for 1 minute. Spoon the filling over the prepared base, cover and refrigerate for approx. 6 hours to set. Serves 4. 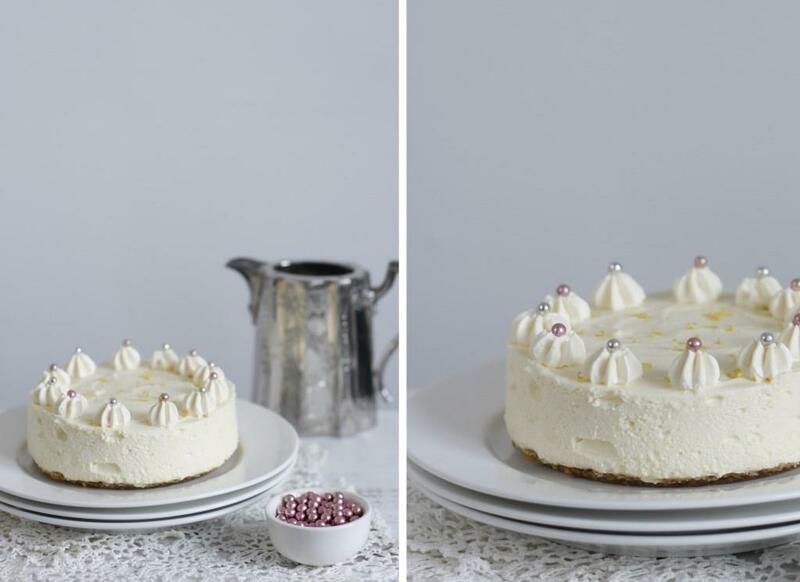 We aimed for a vintage-inspired look to our cheesecake, by adding a topping of piped smooth cottage cheese and adorning our cheesecake with lemon zest and Metallic “Bling” Balls. While adopting the Noakes/Banting lifestyle, we came up with this very velvety chocolate fudge recipe to satisfy the after dinner chocolate cravings. This recipe makes approx. 10 sizable fudge bars, and can be kept in the fridge for a sweet snack when the need arises. Heat the dates with a small amount of the butter (approximately a teaspoon) in a saucepan until the dates are gooey and melted – this will take some time, don’t be hasty. Mix in the oil, butter and nut butter. Take the mixture off the heat and mix in the cocoa powder, vanilla, honey and salt. Combine the lightly beaten egg into the warm mixture (make sure the mixture is not too hot or the egg will scramble). Stir the mixture on a low heat until it is smooth and velvety, and the oil has become incorporated. Stir in any inclusions – we added flaked almonds for crunch. Spoon the mixture into a small baking tray (or similar) and place in the fridge for 3-6 hours to set (it will not set hard). 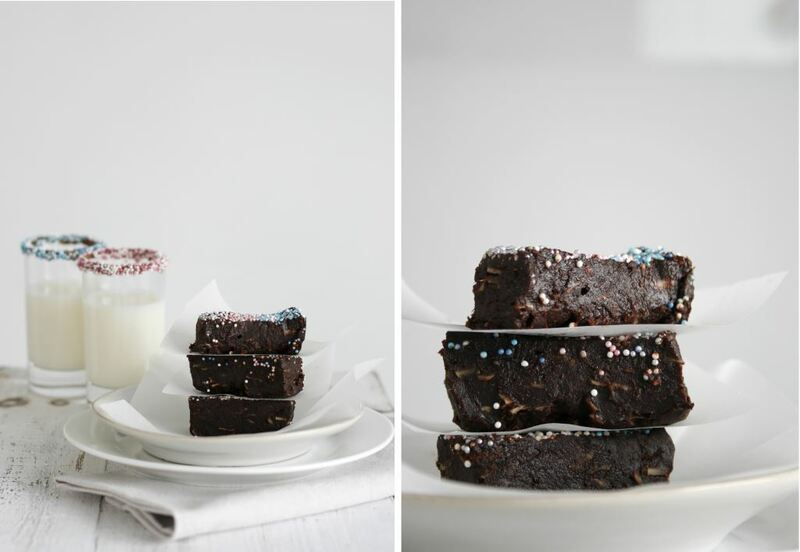 We opted to sprinkle our brownie flavoured fudge with Nicoletta Nonpareils (and although made from sugar, added a good crunch to the smooth fudgy bars). 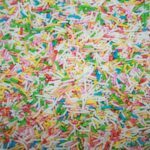 These sprinkles are obviously not ‘Banting’ and are optional extras for decoration, but we think they are totally worth it as they offer that finishing touch. 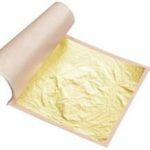 For a non-dairy version – the dairy component of the recipe (butter) can be replaced with cocoa butter or nut butter. Our much loved date balls had to be a recipe that we used to make a great Banting-friendly snack (without the usual Marie/Tennis Biscuits). Although dates are approx. 50% sugar, eating dates does not cause a glycaemic response like sugar; they are actually considered low GI (with a GI rating of approx. 40-50 for dates vs 65 for sugar, and 100 for glucose). Dates are also rich in minerals such as potassium and iron. Dates can therefore be used to satisfy that sweet craving as part of a balanced Banting lifestyle (without the use of refined sugar). 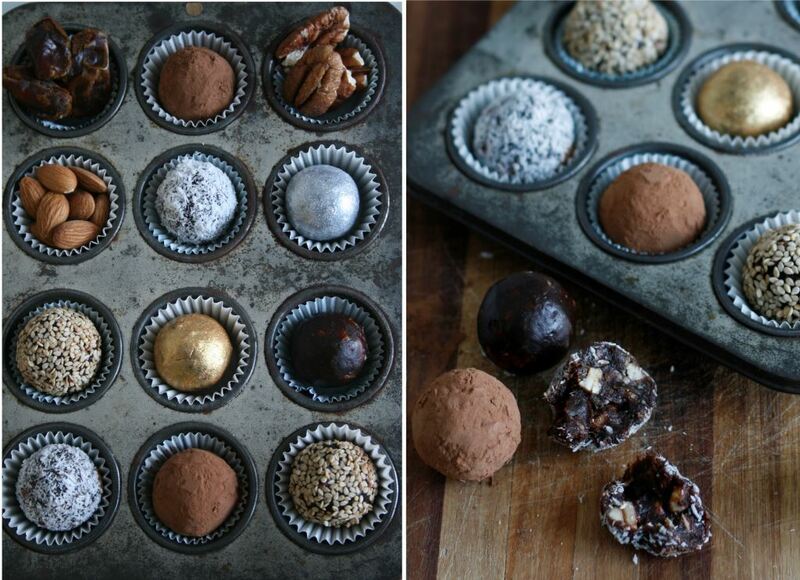 We used raw almonds and pecan nuts in our date balls, however you could use any nuts you prefer (it adds to the texture when using a mixture of a softer nut with a harder nut). Melt the dates and butter in a saucepan until the dates have become soft and gooey, set aside to cool slightly. Add the egg slowly to the mixture and stir (the mixture should be warm, but cool enough to touch without burning your finger, be careful the mixture is not too hot, or the egg will scramble). Mix in the cocoa powder and salt. Mix in the Nuts. 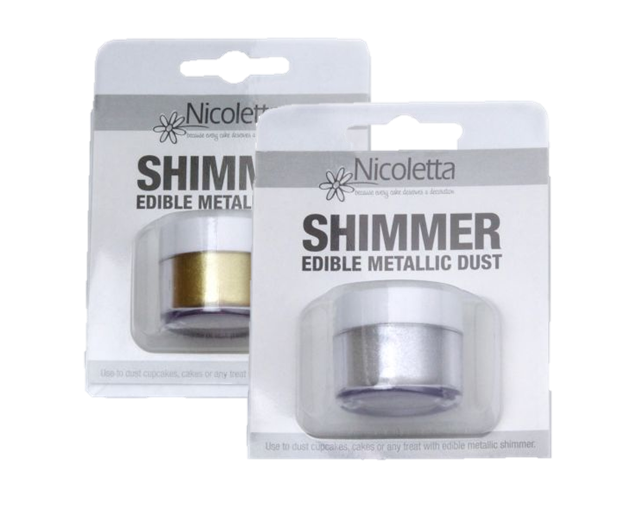 Roll into balls, and coat with coconut/ good quality cocoa powder/ toasted sesame seeds/ gold and silver Nicoletta Shimmer (calorie free). If the balls are approx. 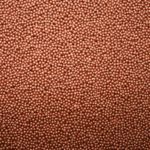 3cm in diameter, the mixture will yield 25 date balls. Everyone attempting the Banting-type lifestyle, needs something sweet and satisfying during their health kick at some point. This recipe was a revelation, arising during a time of need, while living according to the “Noakes Diet”. The recipe has been altered from one of the greats: Nigella’s Chocolate Olive Oil Cake. Don’t be put off by adding the olive oil, it gives the cake a wonderfully moist texture, and does not dominate the flavour in the cake. The xylitol used to sweeten this cake in place of sugar is a polyol, which contains 40% of the calories of sugar; although it exhibits a much lower glycaemic response than sugar and is considered low GI. It is the only sugar substitute recommended by Patrick Holford, and is on the list of acceptable sugar substitutes in Tim Noakes recipe book “The Real Meal Revolution”. Add the boiling water to your cocoa powder and mix to form a paste. Beat the sugar, olive oil and eggs in an electrical beater for 3 minutes until your mixture is creamy and thick. Mix in the cocoa mixture and vanilla. Combine the dry ingredients and mix gently into the batter. 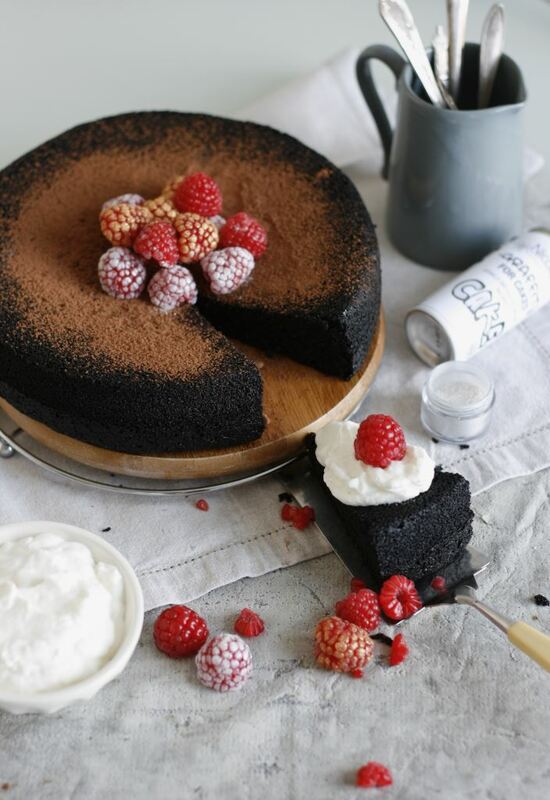 Pour the batter into greased 23cm tin (line the base with baking paper)/ silicone cake mould. Bake at 170°C for 45 minutes, the cake tester should come out with sticky crumbs attached, but no wet batter. Allow the cake to cool in its mould. Leave to cool completely before slicing. Unsweetened berry compote – We made a sugarless berry coulis using mixed frozen berries, which we heated and boiled in a saucepan for 30 minutes, till the right sauce consistency was reached. 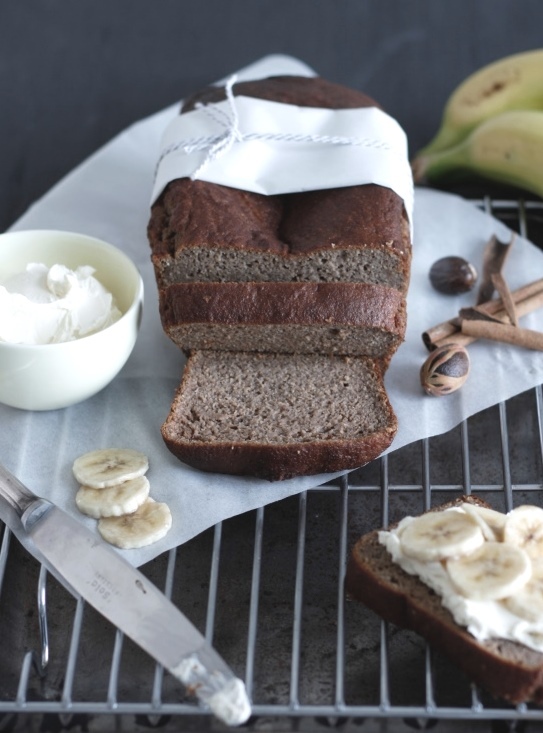 Banana bread is so rewarding to make with very little effort, and this recipe excludes sugar and grains in keeping with a Banting-style treat. We adapted this recipe from a wonderful Paleo banana bread recipe from the ‘Civilised Caveman’ (a Paleo legend). This recipe uses coconut flour in place of wheat flour, and produces a moist, nutritious and flavourful breakfast treat. In a food processer, blitz the banana, butter, egg and almond butter. Mix together the dry ingredients and add to the banana mixture, blitz till all ingredients are combined. 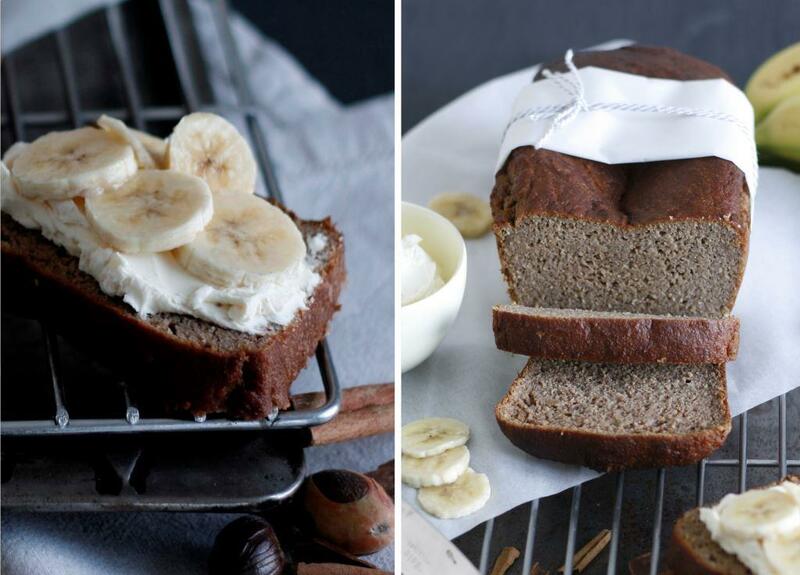 If you prefer a sweeter banana bread, add a Tbs. honey to the batter. Pour the batter into a medium silicone loaf mould/ a greased loaf tin. Bake at 170°C for 40 minutes. Allow to cool slightly before demoulding. This recipe didn’t even make it to the cake tin, we loved it warm with cream cheese/ mascarpone and slices of fresh banana. 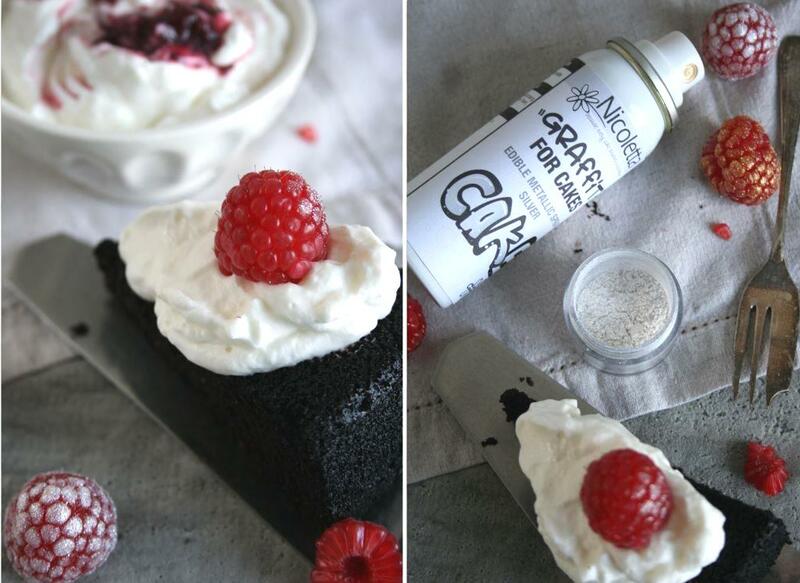 Ice your banana bread with cream cheese icing (made using whipped cream cheese and Sweet Nothings xylitol – blitzed to a powder) and dust with Silver / Gold Nicoletta Shimmer or Graffiti for Cakes.